When something’s bothering us, how long does it take us to figure out that we’re bothered? I ask because some of us can go through the whole day in a bad mood and not realize it: While helping the kids, we’re frustrated all day; while at work, we don’t want to talk to anyone; while driving, we’re angry. It’s only at the end of the day we realize that we lack peace. 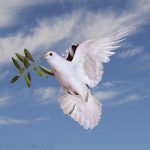 But others among us realize very quickly, “Something’s bothering me.” And once we know something’s bothering us, how quickly do we regain our peace? It could be, for example, that we have a bad Sunday and only recover by Saturday—that’s a bad week. God is a God of peace, and He wants us to recover our peace quickly. We’re celebrating Pentecost today, the feast day of the Holy Spirit, whose depiction as a dove with an olive branch in its mouth is a symbol of peace. 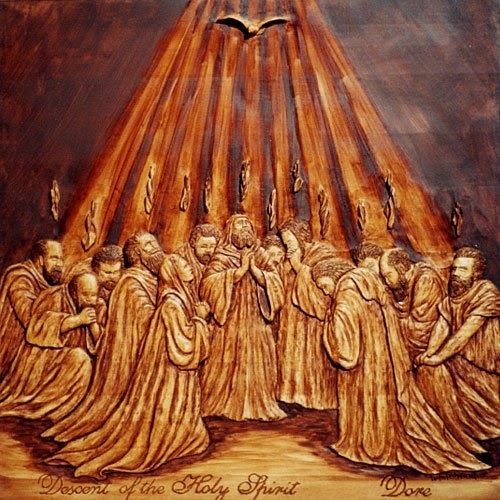 And in the Gospel, Jesus says twice to the apostles, when they’re afraid, “Peace be with you” (Jn 20:20). Peace doesn’t mean we’re having a good time, having fun or that everything is perfect. In the Bible it refers to well-being, harmony, and being right with God. It means we can be in a boat, out in the middle of the ocean, with no oars, but still calm because we know God will take care of us. 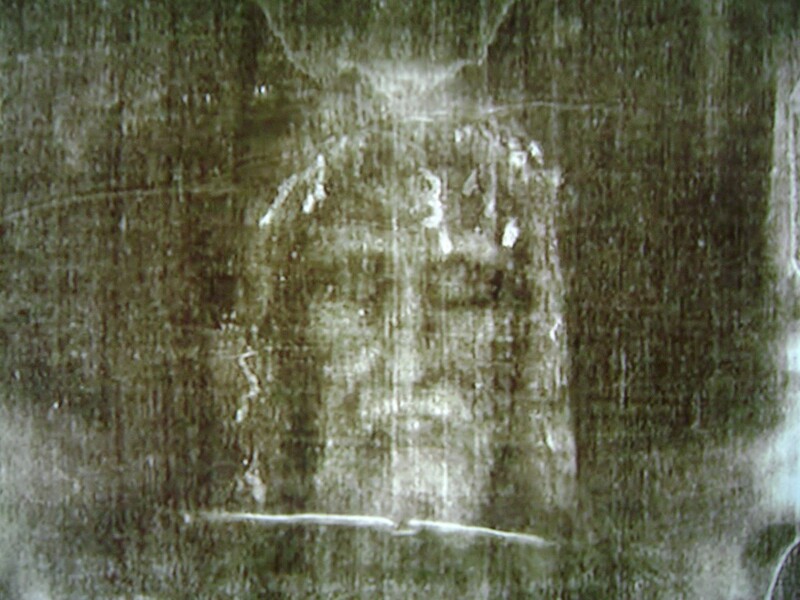 Look how calm the face of Jesus is on the Shroud of Turin. 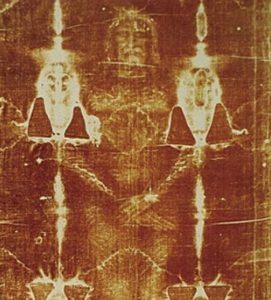 Converging evidence points to the assertion that the shroud is Jesus’ actual burial cloth. 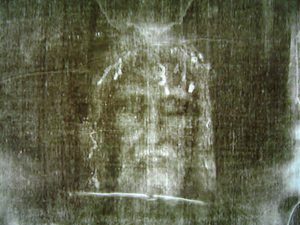 It’s proven that the person shown was scourged, crowned with thorns and died by crucifixion. 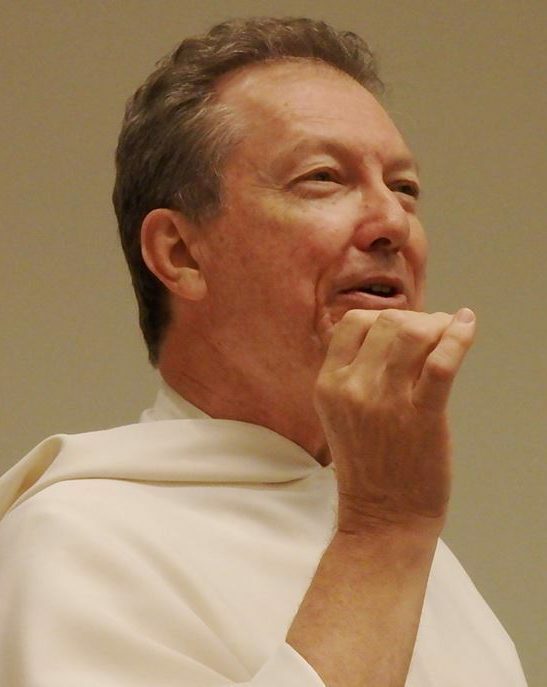 And one interesting observation made by Fr. Francis Peffley is that the face of the man is completely serene (The Passion of Christ in Light of the Holy Shroud of Turin, Track 8). Compare this with other victims who died a violent death, like those in Pompeii, who die with fear on their faces. But the peace on Jesus’ face shows it’s possible, with God’s grace, to be peaceful even when our world is collapsing around us and when we’re suffering. If we’re tempted to say that He was peaceful only because He was God, we have to remember that He was also fully human, so His humanity would have been tempted to lose peace; and so He had to choose to love and do the Father’s will too. Let’s go through four steps to regain our peace. 1) Pay attention to how we treat people: Once we realize we’re impatient, angry, frustrated, short with other people, or when we don’t want to talk to people, then this means we’ve lost our peace. When our tone is irritable or we start using swear words, we have no peace. When we don’t smile readily (because peaceful people smile readily), something’s wrong. The first step is to be aware when something’s wrong. 2) Once we’ve lost our peace, most of the time we need to turn to someone for help. We need to share with God or a friend that we’re suffering—this will lighten our burden. We need to perhaps sit for a while, rest and relax, and tell God what’s bothering us. As the Psalms teach, we can even complain to God, not in the sense of blaming Him (for we can never blame Him since He does nothing wrong) or doing so without hope, but in the sense that we’re going to our Father for help and comfort—I call this a ‘holy complaining.’ We complain to God expecting Him to help us, which is a sign of love. Rather than hide how we really feel, we should express it to God the Father, even if those feelings are completely irrational or ones that we would never follow, because it’s important for us to face the reality of our feelings (See Be the First to Calm Down). Jesus says, “In the world you have tribulation; but be of good cheer, I have overcome the world” (Jn 16:33). Suffering will challenge us and hurt us, but the peace of Christ is so deep that when we’re sick and in pain, we can still be peaceful. Again, it’s normal and understandable that these things steal our peace because we’re human (I’m not trying to downplay the reality of the pain we endure), but it’s never a good reason. Why? Let me ask you: do you believe all your sufferings are greater than Christ’s peace? Which is stronger? Because, if our sufferings are stronger than Christ’s peace, then we’ll be stuck in our suffering and we’ll only recover once the suffering passes. But Jesus teaches us that His peace is greater than our suffering. When we lose our peace, it exposes the fact that we don’t have enough of Christ’s peace. That’s why our peacefulness is contingent on external factors: We’re only happy when good things happen to us. But this is a fragile and worldly kind of peace and it won’t survive difficulties. That’s sometimes why Jesus allows us to suffer, so that we look for His peace. When St. John Paul II was shot, it’s an understatement to say that was a bad day. Naturally, he might have lost his peace. But, after turning to Jesus, he would realize this isn’t a good enough reason to lose his peace. Why? Because, as we’ve talked about before, there’s a more compelling reason to be peaceful: Being shot was part of God’s plan to bring about a greater good (St. John Paul actually realized this). Once he realizes this truth, then the peace of Christ can flow back into his head and heart. We pray, first of all, because the peace of Christ can’t come from ourselves. If we want Jesus’ peace, then He has to give it. We pray, secondly, to change ourselves. Oftentimes, we spend the bulk of our mental energy and prayers hoping that our situations and other people will change. But, as the Serenity Prayer reminds us, there are many things we can’t change. We can’t change the weather, the traffic or Donald Trump. We should pray for people, but more importantly, we should pray for ourselves to change, which is often what God really wants. We’ve also mentioned once before how many of our frustrations come from having unrealistic expectations of life: We expect people to be kind, for everyone at work to follow all the policies and procedures, or for our family to say the truth and do what they said they were going to do. But that’s not realistic. People are sinners. It’s good to have hope-filled expectations, but realistic ones too. If we lose our peace simply because people are sinners then we have unrealistic expectations. So we must change. The Serenity Prayer reminds us that we only expect to “be reasonably happy in this life.” Our supreme happiness will only come in the next. Could we all do something very simple from now on, please, in order to live out better, the truths we’ve been discussing? 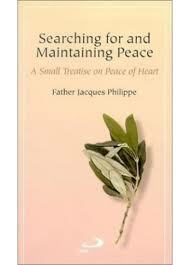 During the Sign of Peace at Mass, I’m not sure what people say, but, when we extend our hand, hug or look at each other, could we say please, “The peace of Christ.” The Sign of Peace is not an opportunity to greet each other “Hi,” nor is it an intermission during Mass. This is a privileged opportunity to wish everyone to have the peace of Christ. When Deacon Andrew and I give each other the Sign of Peace, I don’t want his peace, he can keep it! I want Christ’s! So what are the four steps to regain our peace? 1) Be aware when something’s wrong (Pay attention to how we’re treating people, then we’ll know something’s wrong); 2) Turn to someone for help, especially God; do some holy complaining; 3) The reasons we lose our peace are always bad reasons—this truth forces us to look for Christ’s peace, which is stronger than the reasons we lose our peace; 4) Pray: pray for help, pray to change ourselves especially. If we do this, then the time to recover our peace will be markedly improved. It will then be possible to actually rescue a day going badly. Let’s say we’re having a bad day and everything is already going downhill. With these four steps we can actually regain our peace and let God change our day into a great one. It’s possible, with God’s grace, to have the same look of serenity on our faces that was on Christ’s. Let’s ask the Holy Spirit to infuse us with the peace of Christ.